"Pan Karp - Mister Carp" from Polish ponds. Majority of the Polish fish-breeding ponds is located at the central and southern part of the country. Such localization was connected with suitable land configuration and beneficial climate conditions. Nowadays as well as in the past the fish ponds were constructed on the unproductive land. Poor soil covered by ponds, could be hardly utilized for typical agricultural purposes. Thanks to the fish farming, marshes and wetlands, difficult for cultivation, could be profitably used and increase water retention. - big share of the natural food in the diet (benthos, zooplankton), with additional corn feeding (wheat, barley, rye). 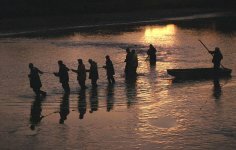 The farming procedures are based on the utilization of the biology of carp: natural reproduction - spawning, good rate of growth thanks to the combination of natural food with additional corn, wintering at the deep and well oxygenated fish-ponds, especially prepared by fish-breeders. The experience and the knowledge of the Polish carp farmers arise from the tradition and the real passion for carp-breeding. 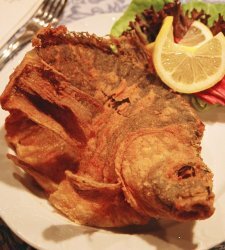 Consequently the carps satisfy both the connoisseurs and the people looking largely for natural and healthy food. 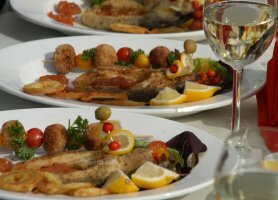 The combination of taste and health values on the one side and the fact that carp farming is only possible in this part of Europe on the other side, makes carp the ideal candidate for the Polish speciality. We should be proud and praise the carp all over the world. Carp breeding has in Poland a long tradition that was started by monks in the second part of 13th century. First signs of carp in the Polish documents come from the writings of Jan Długosz from 1466. The first guide book about carp breeding dates back in 1573. It was written by Olbrycht Strumieński "About the case, building and stocking ponds". Huge carp ponds were built for Polish kings and counts (eg. pond "Zygmunt" with area of 460 ha). 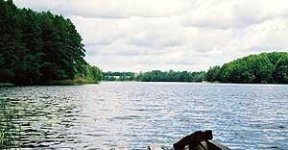 The oldest and biggest pond farms complexes built in medieval Poland are situated in the water basin of upper Vistula and Oder Rivers and in the region of middle part of Bzura River (near from Łowicz). Still today these regions are the heart of carp farming in Poland. 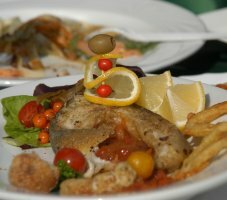 Dieticians recommend fish as valuable source of easily digestible proteins, unsaturated fatty acids, vitamins A and D3, microelements and phosphorus. 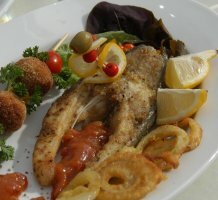 Due to low content of cholesterol fish meat is much healthier than red meat. Diet, where beef and pork is substituted by fish works to the benefit of our health, decreases the risk of heart attacks and brain strokes and lowers blood pressure. Ingredients: 1kg of carp, 2 eggs, 10 dkg cheese, 10 dkg champignons, parsley, salt, paprika, pepper, flour, cream, butter or margarine Cut the gutted fish into pieces, salt it, roll it in flour mixed with paprika and a bit of pepper. Fry it on hot oil till they become golden. Fried pieces put in layers in a larger dish that can be used in oven. Every layer cover with hard boiled eggs that are cut in pieces, chopped parsley, grated cheese and fried champignons. Put on top a bit of butter or margarine. Cover it and put into the oven for half an hour. Before serving put the cream on top and heat in oven again.